5 uses of Potato you’ve not heard before! Gone is the time when potatoes were used to stuff paranthas or to fill in your puffy bag of chips. Apart from being edible and super tasty, potatoes also have a lot of non-edible uses. 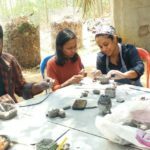 So in this blog, we will talk about some quick potato home remedies that you might never have heard of! Find stains on the silverware in your kitchen, and you’re expecting guests tonight? Even if you don’t have silver polish at home, here’s a quick fix. 1.Boil 2-3 potatoes. Remove them from the water and save them for another use. 2 . Place your silverware in the remaining water and let it sit for an hour. 3. Then remove the silverware and wash. Guess what looks as good as new! Waking up to find bags under your eyes is a nightmare in itself. Instead of using creams that are loaded with chemicals, you could use potatoes! Shocked? Don’t be and follow this quick method. 3. 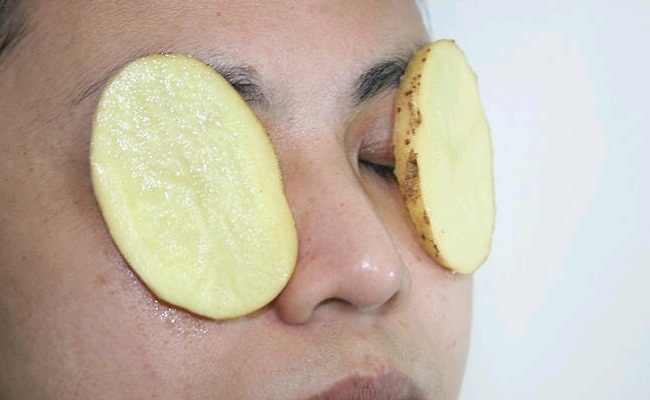 Wait for 10-15 minutes to make the eye bags go away, and then remove potato slices. Tough Stains from peeling carrots, or handling pumpkin , or chopping beetroots are difficult to remove. But you can use potatoes to clean those impossible stains. Here’s How. 1. Use a side of potato on the affected area for a few minutes in circular motions. 2. In a few moments, the stains will just disappear. 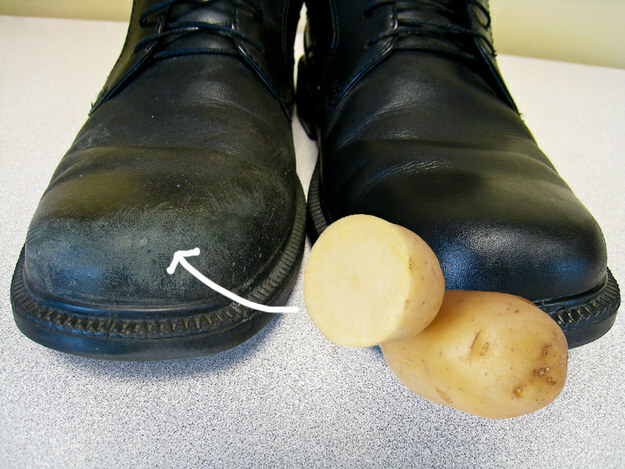 Before you give up on your old shoes that are no good even with layers of shoe polish, stop yourself and use a potato! Yes, a potato. Potatoes can give shine to your shoes like no other shoe polish, and it doesn’t cost as much too. 1. Cut a potato in half and rub it all over any scuffed surfaces. 2. After that, polish the shoes to a brilliant shine. With this, we have come to the end of our blog. Stay tuned for more natural remedies that can be quickly made at home.